Melting Pot’s stylish Euro design makes it a beautiful and safe salon accessory, with a locking lid for sanitary protection and a handle for portability. The flared base adds stability and can also be used as a collar, plus it is removable for easy cleaning. The metal container lifter keeps fingers from heat source and it has an ideally positioned scraper bar. 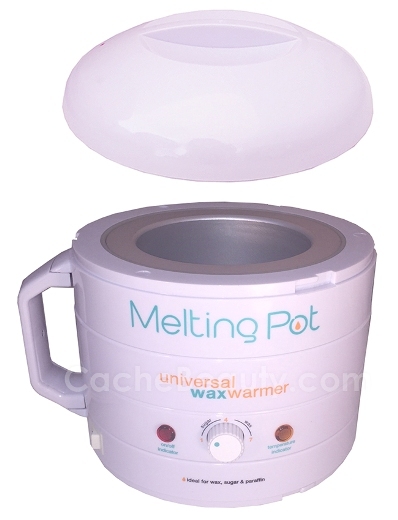 * Multi-use: for wax, sugar and paraffin. Holds up to 16 oz containers. * High-grade plastic heating unit is sleek and equipped with an easy to read temperature control and safety handle for portability.